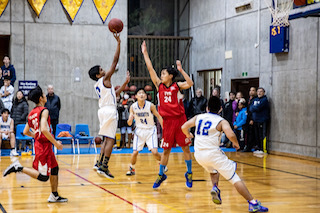 The JV boys’ basketball team had another tough game against the talented ASIJ Mustangs on Tuesday, losing 75-24. ASIJ took an 18-2 lead after one quarter and kept widening the margin little by little throughout the game. 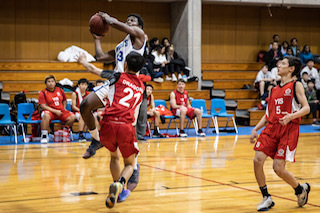 The boys' varsity basketball team got off to a solid start on the first day of the three-day Kanto Classic Tournament at ASIJ on Thursday. They started with a 65-37 loss to Kinnick before ending the day with a 47-39 comeback victory over Edgren.